New report says Israel will use F-35I aircraft to counter threat posed by Syria's S-300 missile system. Israel will use the F-35I stealth fighter to attack Syria, Galei Tzahal (Army Radio) reported. The decision comes after Syria began receiving on Tuesday its new S-300 surface-to-air missile defense system. The new system, sold to Syria by Russia, is intended to stop enemy planes - including Israeli planes - from attacking. 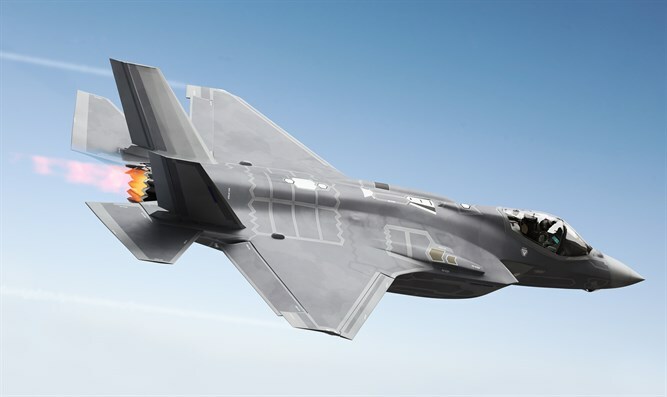 Galei Tzahal quoted a source in the Israeli Air Force who said that in light of the situation in Syria, Israel has decided to increase the use of F-35 stealth fighter in its attacks on Syria. This step is expected to allow the Air Force to better handle the growing threat in Syria, the source explained. "The coming attacks won't be the first, but they will be safer for the pilots in light of the new reality in Syria's skies," the source told Galei Tzahal. "This is the most expensive weapon in the world, and it's the most advanced airplane in the world. Israel paid 125 million for each plane, and the Defense Ministry purchased 50 of the Model A planes... Our planes are called the F-35I. Eight of the planes have already landed in Israel and 33 are expected to arrive by 2021." In May, Israel became the first country to carry out strikes with the F-35.